It is good to be back blogging after being offline for a few weeks. I have really missed it. 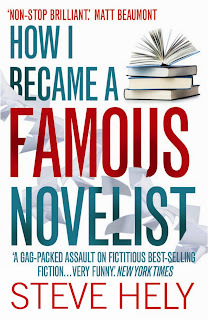 How I Became A Famous Novelist is one of the few novels I have read during that time. It is a bit of fun. Pete Tarslaw, who spins this tale, is not an exemplary human being. He is lazy and cynical, though intelligent and reasonably well read. After his ex-girlfriend invites him to her wedding in twelve months time, he decides that the only way to save his pride, is to become a famous literary novelist, so he can outshine all present, and humiliate her. Nothing, and no one, associated with the publishing world are spared from Steve Hely's barbs in this book. Including you and I! Hely not only portrays writers, especially those of so called literary fiction, as charlatans, but he mocks consumers of all things literary (books, book signings and writers' festivals) mercilessly. The miracle of this book is that I didn't take it personally. In fact, I found myself laughing out loud at times. Which of us hasn't read some entirely overblown, though much lauded, work of literary fiction, and wondered is it me, or is this just too over the top? Part of the fun of the novel is identifying which novels and novelists Hely is sending up, as he does not refer to them by name of course. Our would be novelist, Pete Tarslaw, makes a study of the best sellers list and concludes, without too much effort, what is "in" an what is not. He throws together a novel composed of the common themes and scenarios, without any heart, devotion to the truth, or noble intention, and comes up with his very own best selling novel. But he pays a price. Which is why I probably didn't mind that he mocked my penchant for reading WWII novels and plenty else besides. 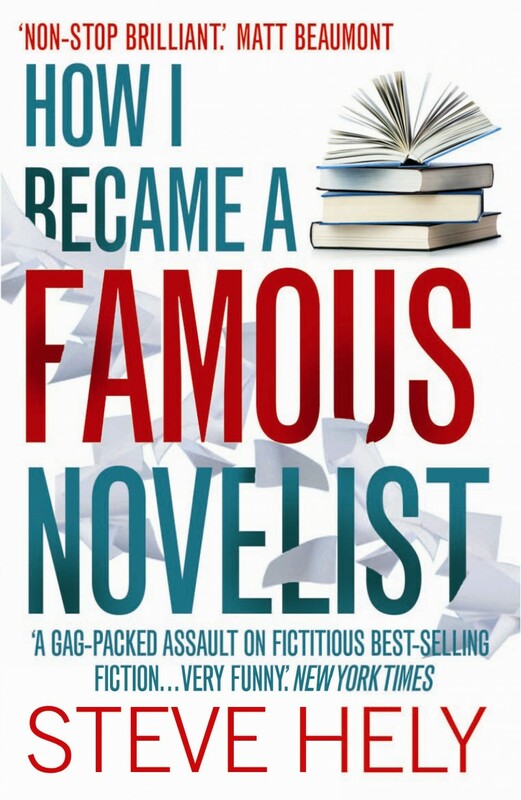 How I Became a Famous Novelist is not the sort of novel I am going to remember much about in twelve months time. 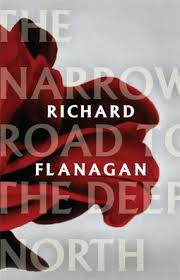 But it is refreshing and biting and ultimately (though not till the very end) affirms why so many of us, love fiction, so very much.